Details at the end of this post on how to enter to win a copy of this book, and links to purchase it. Crime with the Classics series first published in July 2016 with Arsenic with Austen and has become an engaging favorite. Katherine Bolger Hyde introduced the delightful retired literature professor Emily Cavanaugh who inherited, from her great aunt, Windy Corners, a beautiful Victorian estate, outside Stony Beach, Oregon. In taking possession of her new property, she discovers the one who broke her heart is sheriff along with a delightful community of quirky residents, lots of secrets, mayhem, and murder including suspicions about the death of her aunt. In Bloodstains with Brontë (2017), Katherine continues Emily’s journey as she remodels the property into a writers’ retreat with rooms themed for her favorite writers offering a quaint place for writers to get their inspiration. However, like a Charlotte Brontë novel, things get dark. When hosting a Halloween murder mystery dinner, a real dead body is discovered, and her young housekeeper Katie is pegged as suspect number one. Life, and murder, at Windy Corners seems to mirror many of the classics Emily enjoys. What's next? Cyanide with Christie earns 5/5 Karma Surprises…Clever and Engaging! It's Christmas, Windy Corners is festooned in all the holiday trim, and Emily is nervously anticipating her first guests arriving at the writers’ retreat. The guests comprise of well-known to up-and-coming writers; all are sparking Emily’s latent literary dreams. Luke Richards, her renewed love and local police lieutenant, is still somewhat reticent about these strangers living in the house with Emily. What does she truly know about these people? Some unofficial background checks might be in order. 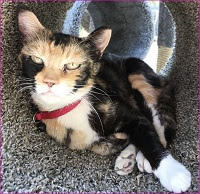 Her first arrival, Oscar Lansing, has become an immediate friend, an adjunct professor at the university she worked and simpatico with her literary interest, but is that jealousy she gleans from Luke’s behavior? The rest of the visiting authors arrive ranging from well-known to new-to-the-scene, inspired to blocked, open book to quietly suspicious. But, there’s one guest, flippant, critical of the other authors, and well lubricated who seems to have rubbed everyone the wrong way. However, along with a winter storm, it's the uninvited guest, oddly penned Cruella Crime, that causes the most disruption. So, when she ends up dead…poisoned! Everyone is a suspect, including old-fashioned Karma! Marvelous! I love Katherine Bolger Hyde’s series: the writers’ retreat, a small town, renewed love, and fascinating connections to classic literature. Katherine uses a third-person narrative, not a favorite perspective for me, putting us on the outside looking in on the drama. However, with a clever mystery (the murder takes more time to occur than I prefer), well-developed characters (I literally cringed, though happily, at some), vivid descriptions (beautiful, stormy, and delicious), and entertaining banter (illustrates tone and personality well) she kept me totally engaged. Katherine Bolger Hyde Blog - It's Release Day! Here is a fascinating blog, written July 12, 2016, that shares some insights about the release of the her new series with Arsenic with Austen. 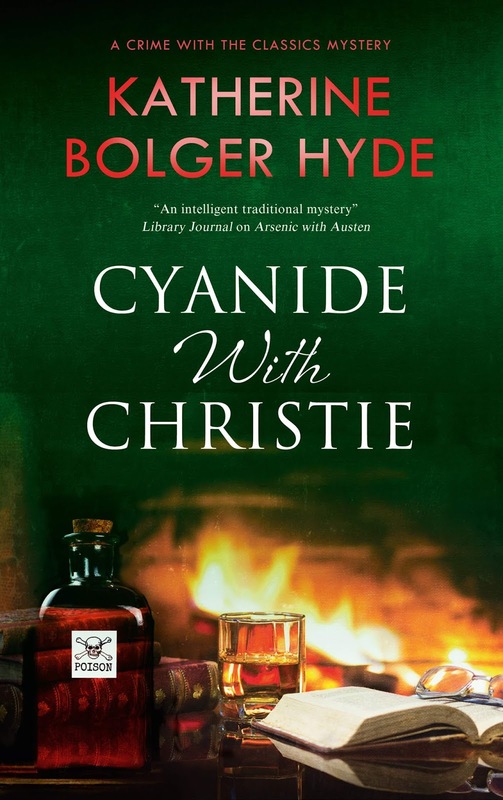 To enter to win a copy of Cyanide with Christie, simply email KRL at krlcontests@gmail[dot]com by replacing the [dot] with a period, and with the subject line "cyanide,” or comment on this article. A winner will be chosen April 13, 2019. US residents only. If entering via comment please include your email address. If entering email be sure to include your address in case you win. You can read our privacy statement here if you like. Check out other mystery articles, reviews, book giveaways & mystery short stories in our mystery section in Kings River Life and in our mystery category here on KRL News & Reviews. And join our mystery Facebook group to keep up with everything mystery we post, and have a chance at some extra giveaways. And check out our new mystery podcast which features mystery short stories and first chapters read by local actors! A new episode featuring a mystery short story by Julia Buckley went up this week. New author and series to me. Would really like to read. I have not read this series. I love the premise and will put the books on my "to buy" list. Max Allan Collins wrote a book with Christie as the detective. New to me. Sounds like a good one.